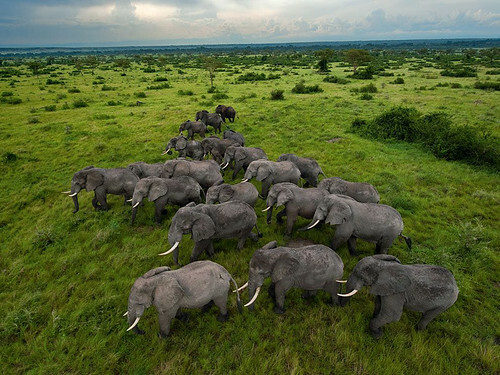 The African elephant is classified as endangered, and makes the ‘Red List’ of endangered species, as at least 50% of its population has been removed over the past 3 generations. The hunting of African elephants is now banned in several countries, but the illegal poaching of these elephants for ivory is still a major threat. The Central African Republic (CAR) is one of the poorest countries in the world. It is known to be a nation that is constantly ravaged by coups and brutal conflict. In December 2012 and January 2013, rebel forces threatening to overthrow government succeeded in capturing one-third of the country. It is through this turmoil and disorder that poachers are able to capitalise. Poachers have appeared to be freely moving in their search for elephants. A group of up to 200 well-armed Sudanese poachers was seeing traveling across northern CAR toward Cameroon and Chad late last year. These poachers have been traveling back-and-forth between Chad and CAR. In CAR, the poachers were reportedly on horseback or with camels in the western parts of the county, including in the Dzangha-Sangha National Park. Fresh elephant carcasses have been found at four separate locations; however, these killings could just be used as a sort of test to analyze the alacrity of troops and anti-poaching forces. The European Union has funded a program called Project Ecofaune, which reported a massacre of elephants in southwestern CAR on January 30th. On February 5th, Ecofaune reported that 24 Sudanese poachers were in the peripheral zone of a National Park, and 10 men were carelessly poaching around Ngotto, which was less than 40 miles away. With several of them injured, the elephants had panicked and sought refuge in and around the village. There have also been indications of the poachers becoming aggressive towards people. The poachers have also intruded into Chad, and it seems that in both countries the village people are giving information about the elephants’ whereabouts to the poachers in exchange for meat. The Cameroonian government has utilized its special forces military unit: the Rapid Intervention Battalion (BIR). 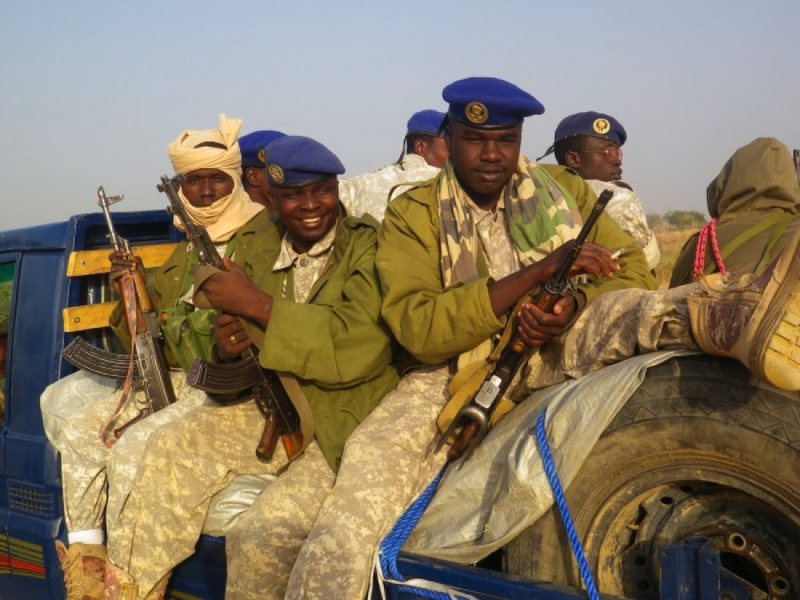 In Chad, the army has been active in pursuing the poachers, and has hounded them to the border. However, with the disarray that is taking place in CAR, the government is seriously battling to deal with this, or any other threat, which is proving to be a severe weak link in the fight against the poaching. The CAR government is unable to resist the rebels, and President Francois Bozize has pleaded for military assistance. Chad has sent forces, which were soon joined by troops by South Africa and other central African countries, as well as France supporting these efforts. The United States has reacted to the security situation by temporarily closing its embassy and evacuating its staff. On January 11, a peace plan and cease-fire were agreed upon and President Bozize was granted to remain in power until 2016, when his term ends. However, the Voice of America has reported that the rebels have broken this agreement and the political situation remains in a situation of unrest and instability. The CAR government is not under capacity to deal with the dangerous upheaval of poaching. However, even if this capacity did in fact exist, it seems that there is a lack of political will to address the poaching situation. After President Bozize signed the peace deal in January, he declared that he would work on strengthening ties with China, and to promote oil exploration and development. SOS Elephants, a Chadian non-governmental organisation, has stated that the Chinese have a large role in promoting the illegal ivory trade, as Chinese nationals working for the China National Petroleum Company have been smuggling ivory through the oil pipeline project. A Chadian soldier pictured with the president of SOS Elephants, Stephanie Vergniault. He was shot in the leg in August 2012 while fighting poachers in the Mayo Lemie region. Photograph courtesy of SOS Elephants. The EU Ambassador wrote a letter on January 30th to Cameroon’s prime minister where he expressed concern for the elephants being under imminent threat due to the movement of armed groups in surrounding countries. This was in response to movement of poachers from Sudan across CAR and to then to the Chadian border. In response to this, the Chadian President, President Idriss Déby sent military aircraft to patrol the regions under threat. Elephant numbers have increased to around 700, whereas they were lying at just 300 at the start of 2012. Last August, President Déby also launched an immense search that saw the capture of five poachers who were responsible for a massacre of 63 elephants in that area. February 5th saw the arrival of 100 soldiers in five trucks ready hunt down poachers. President Déby has a personal concern for elephant poaching, this is well known and admired. CAR remains to be a weak link. 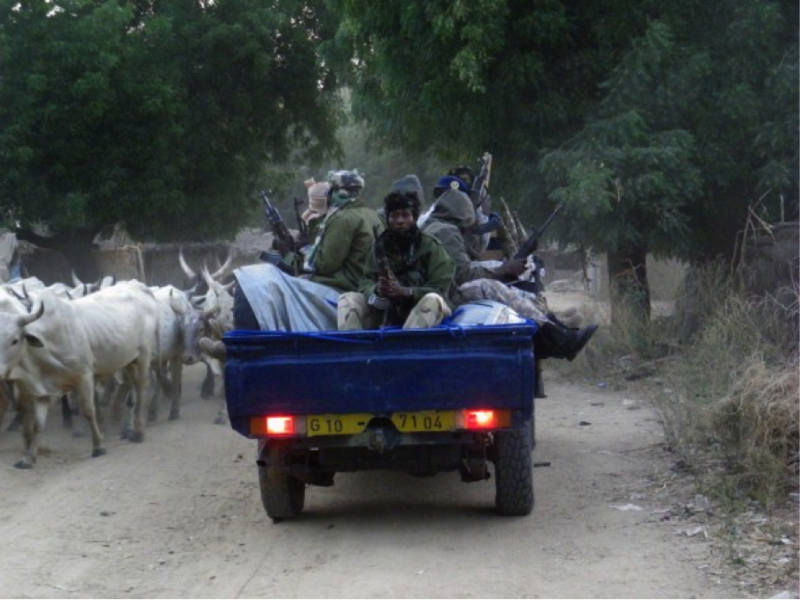 The poachers appear to have run towards the Cameroon away from the Chadian soldiers, however, the Cameroon has implemented anti-poaching units that are after them. The only option left for the poachers is the CAR. The role of government and international politics has come to take a pinnacle role regarding elephant poaching. This case shows that the safety and wellbeing of elephant populations in Central Africa, and largely endangered animals in general, has come to depend upon the stability and diplomacy of countries, both internally and also with regard to international politics and relations. If the atrocity of poaching is ever to be diminished, governments need to work to react quickly and firmly to illegal poaching, regardless of internal dispute. For more information on elephant poaching in Africa and anti-poaching initiatives, you can look at Born Free and A Voice for Elephants. This entry was posted in Uncategorized and tagged Anti-poaching, Cameroon, Central African Republic, Chad, Elephant poaching, Elephants, International Crime, Ivory. I just love animals! And another news… I just found out that Manila Zoo has a cute elephant named Mali, and she is the only elephant in the Philippines! She has lived there for almost all of her lives, for more than 30 years. The zoo should feel like her sweet and cozy home now. But then, I read some articles in PETAAsiaPacific.com, and I noticed that Mali is in fact sad and lonely! Look at her here: https://www.facebook.com/FreeMali. She is like a prisoner, who cannot spend her days with her friends, roam in vast territories, and have delicious adequate food! She even suffers from foot problems. Why does she deserve this? 😦 Please Help Her!